Instead of tooting my own horn, I'm going to blow my own whistle and review my bottom 5 blog posts of 2015. Everyone wraps with their top posts from the year, I thought I'd try something more fun. The posts reviewed are my 5 least popular, or least read, blog posts of 2015. Doesn't mean they're bad, they may be alright from a content perspective, but you wouldn't know because you didn't read them. I started this blog in 2008 as an experiment, I wanted to learn the ways of the internet. My first post was in 2008 and it was called The Least Exciting Leyla On the Net, a post about Googling myself. Great title, I love self deprecating humor, but the post has text that goes ON FOR DAYS with no pictures, not one! Since 2008, I've published 360 blog posts here (written 420 *hee hee* 60 are in draft mode) and earned nearly 500K page views - an average of 1250 eyeballs on each post. It's not a ton but I'm quite happy with the results. I've far exceeded all goals I had for Sunday Morning Soliloquy, I never thought 1 person would read it but 1000s do each month. Above all, I enjoy writing here more than just about anything else I do. I can't lie, I was surprised by the results. Surprised and saddened because one of my favorite posts is on this list. Let's examine what and why you didn't read my posts (jerks). 5. When Data Reveals Truth Like a Slap In The Face - post related to my crappy health as revealed in my Apple Health dashboard. I can see why you didn't like it, but shockingly, it's not your least favorite. It probably got more eyeballs than it deserved because I used the word "data" - ugh. 4. Summer is Over...For YOU Maybe - post about my trip to Morocco with a crappy title, I'll give you that. I took a jab at my readers by bragging about the trip, another stupid move, but the content is good (I think) and it is loaded with photos from Morocco! 3. Scheduled Sunsets For Modern Nomads - a post written about the desert eco-lodge I visited in Morocco, the poor readership of this one makes me angry because this is my favorite post! I worked hard on this post, the title is thought provoking (I think), written and visual content is solid (I think), it may read a bit like a hotel review but the experiences are detailed and genuine. So what's the problem? Time of post! I made the mistake of publishing it while you were all sleeping!! 2. Sunday Night With Wayne Coyne - a post about Wayne Coyne (from The Flaming Lips), OK, I get why you did not love it. 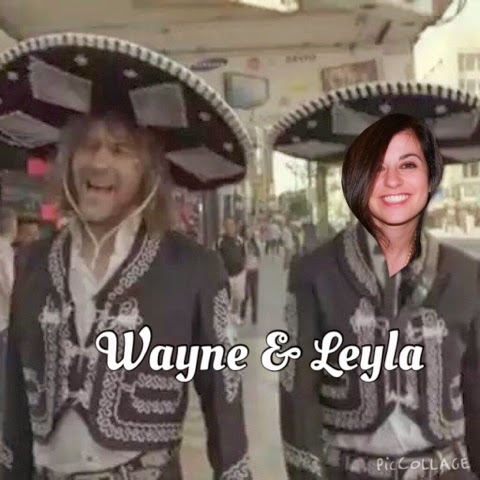 I yielded to my Wayne Coyne obsession and even created poorly photoshopped pics of Wayne and me for your enjoyment. It's funny (I think)! Or maybe it's not. 1. Official Archives Reveal The Last Year Leyla Was Cool - a post about the year I stopped being cool, was the LEAST read post of 2015. No one cared when I was cool, no one cared when I stopped being cool, and apparently no one cares when I talk about it retrospectively. But.. I do like the title of the post, it's catchy (I think), and buried under my crappy rock-and-roll memorabilia, there is a fairly good story in there. Maybe you should give this post another chance? Want to know my TOP 5 blog posts of 2015? These are in order, number one being the most viewed or read post of 2015. Istanbul in 2011 - My #TBT Travel Post - I used a trending hashtag and you fell for it, how lame. Just kidding, I love you, thanks! My Favorite Social Distortion Moment - another nostalgia post, I see a trend here. This post is about a friend who has a highly engaged Facebook audience (by normal human being standards) and he shared the post on FB. Knight Rider Time Out - Stop What You're Doing and Take an Internet Break with Michael Knight and KITT - I get it, who doesn't like Knight Rider? But this post also mentions someone with a high social media presence and he shared it with his readers. Women Who Rule, an Homage to Women Who Rule - Kim Gordon - I tricked you! 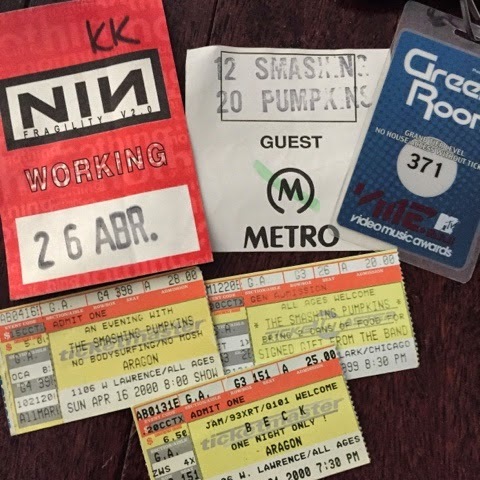 I wrote the post when Kim Gordon's book was still hot to capture some internet buzz. 12 Instagram Accounts You Should Follow Right Now! - I tricked you again! And I included my own Instagram account as the NUMBER ONE account to follow, ha! As I reviewed the top posts, I saw a pattern. Almost of all of the top posts have follow the internet marketing tricks internet marketing strategies I normally reserve for my client work. I'm actually a fairly good digital marketer. I'm being modest, I'm quite good, if I were to use these skills and practice my own tried and true methodologies on my blog, I would be a more successful blogger. So why not? Because that's not what Sunday Morning Soliloquy is about, this blog is about me doing what I want, when I want, how I want. I like writing my stories and I like that you're here and that you have taken an interest in my stories - THANK YOU.